Updating from Sydney Pro version 1.57 to Sydney Pro version 2.0.0 (and above) is a manual process because this is a major update. This is the only time you have to follow these steps, after you are on version 2 you can use automatic updates again. If you purchased the Developer or Lifetime bundles, please follow just the steps from B. because the theme is already in your account, ready to be downloaded. It is always a good idea to take backups before making major changes to your website. 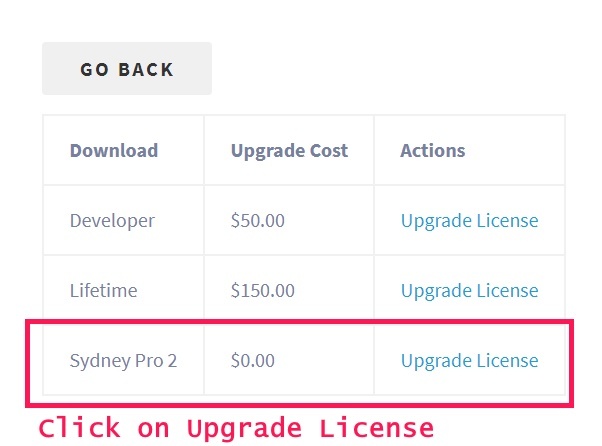 Install and activate Sydney Pro 2 using the .zip archive you've downloaded earlier (just like you originally installed it - go to Appearance > Themes > Add New > Upload theme).